Leprince aka Prince is a pleasure to ride out at home, and absolutely loves letting off steam in the field. Prince acts like the big man but once up close for a treat or a groom the act disappears. Stud Fee: €900.00 + VAT and shipping, live foal guarantee included payable to The Stallion Company. Leprince is sired by Yarlands Summer Song who was ranked for 10 years in the WBFSH top 10 Eventing sires and Leprince is his most successful offspring. Summer Song’s sire Fleetwater Opposition is a legend in eventing pedigrees as well and has produced numerous international eventers (Opposition Buzz, Trevalgar II, Ngong Hills, and Absolute Opposition). With the Olympian Galoubet A as damsire, Leprince’s pedigree easily explains his outstanding talent and achievements. 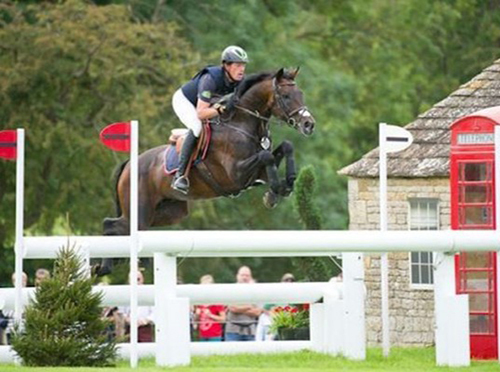 Leprince finished 11th at Badminton, 8th at Burghley and 4th at Pau. His full brother Popof des Bois is successful in CIC 4* as well. Retired in his best condition in 2014 after winning the German junior eventing championships with a 16-year-old girl, Leprince’s offspring are still young and his breeding’s were limited before The Stallion Company acquired him. He produces intelligent and easy horses and manages to keep size whilst passing over his stamina and scope as well as outstanding movements. Leprince will suit light blood type mares who need scope and galop.